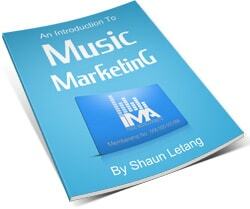 When it comes to marketing your music, it’s important you know what kind of impact your marketing efforts are having. After all, the last thing you want is to keep trying to get your music on a certain website if they’re not sending fans back your way. But how can you check what impact your promotions are having? Well, one way is by using stat tracking services like Google Analytics. Today we’ll look at what Google Analytics is, explore why you need to be using it as a musician, and finally give some top tips and ways to use it. What pages they clicked through before buying your music or joining your mailing list. As you can see, you can gather a lot of information musicians should be interested in knowing. You need this kind of information as it’ll allow you to see where the majority of your fanbase live (you might be surprised), who your fanbase are, where you’re getting the most fans from and more. We’ll delve deeper into these as this guide goes on. Now a quick note; this isn’t a how to install Google Analytics tutorial or a comprehensive guide of the in’s and out’s of this software. If that’s what you’re looking for, plenty of them are already out there. Assuming you already have Google Analytics set up on your website and a basic understanding of the interface, this guide gives musicians a few simple and quick tips for using Google Analytics to make strategic decisions based on actual data. One of the first things you should do after setting up Google Analytics and learning the basics, is creating a new view and applying a filter to exclude your own computer’s IP address from being tracked. What this does is makes sure Google Analytics doesn’t monitor you when you’re using the site. This will help the statistics be more accurate. You always want to keep an unaltered master view as a lot of changes in Google Analytics can’t be undone. It only a few of minutes to learn about views and a couple of seconds to set one up so make sure you get that covered first. Once you have a new view set up it’s time to add a filter. 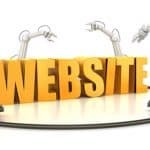 You probably visit your own website often to check things out and make updates and you most likely don’t want that tracked along with the rest of the data about your website’s visitors. Underneath the View column of your Admin tab, click on the Filters option. Click the red New Filter button. Give your filter a name. Set your filter type to Exclude. Set your source to be from your IP address. Set your expression as equal to. Enter in your IP address (just ask Google if you don’t know what is). Whether you’ve toured previously, are planning a tour now, or are hoping to tour in the future, it’s easy to see why it’s important to know what your strongest geographic markets are as a musician. Although your website traffic shouldn’t be the only thing you use to gauge where you have the most fans, it’s definitely something you should be factoring in. You can see where your traffic (read ‘fanbase’) is coming from and you can filter it by country, state, or city. Start becoming intentional about knowing your best markets and focusing on increasing your fanbase in areas which take to you. Where they live isn’t the only thing Google Analytics can tell you about your website visitors. You can also learn other important demographic data about them. Full details of the data you can get and how it can help your music carer below. 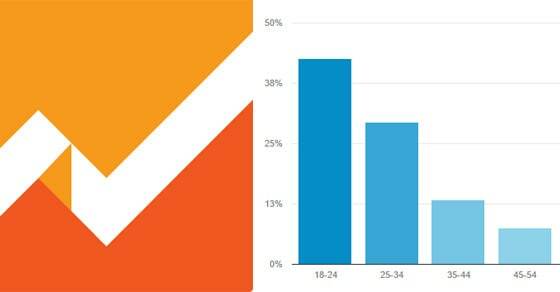 You can start to develop a real demographic profile of your target market based on actual data. So spend some time sifting through the options underneath Audience and Acquisition in the left sidebar of your Reporting tab. Get to know as much as you can about your fans and how they found you. A quick warning though: There is a lot of data available in Google Analytics, way more than you nee. In fact, it can be easy to get lost in it. You could spend hours just trying to dig through and understand it all. So keep focused on the metrics you understand and that are most important to you. I recommend making time regularly to review your website’s analytic data. For me personally, about 15-20 minutes in Google Analytics once a week is what works best. Once you get on a frequent schedule of checking Google Analytics you’ll start to develop a pattern and you’ll get a feel for the data you’re most interested in checking on. You can even create custom dashboards and reports so that you only see the data relevant to you. Google Analytics can you tell you a lot about your audience. But it can also tell you a lot about your own content, and how it’s performing with your audience. If you know what content is most popular, for example your new video releases or your personal updates, you can start to form a content strategy. One where you put out the best content based around what you already know your audience reacts well to. Say for example a certain blog post is getting way more traffic and referrals than anything else you’ve posted recently. Obviously something about that content is striking a chord. Now you’ve identified it’s doing well, you can figure out what people enjoy about it and create more content like it. Underneath the Behavior section of your Reporting tab you’ll find useful information about the behavior of your visitors and how they interact with the content on your website. You can learn things like which pages or posts are getting viewed the most, and how long your visitors are staying on those pages, and how they got to that page. You don’t have to hire a SEO expert or an online marketing analyst to use Google Analytics, or to learn important data for your music career. Don’t get me wrong, having someone on your team with a refined skill set in that department can definitely be a huge asset, especially as your buzz begins to grow. But any musician with a website (which every musician should have, easily create one here if you haven’t got one yet) can set up Google Analytics very easily and learn the basics in order to gain important insight into their own careers. 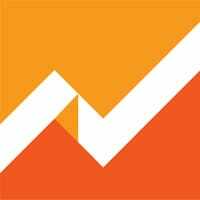 Google Analytics is complex and rich enough that it can take months to master. That said, it’s simple enough that anyone can start using it and benefiting from what it has to offer in a matter of hours. In 2015 there’s no excuse for not having a website. And with a free and powerful tool like Google Analytics there is no reason why you shouldn’t be using it to learn useful information about your fans. So, are you using Google Analytics on your website? Do you have any other useful advice to share? Let me know your thoughts in the comments!